Fit Wanderlust Runner: Does Muscle Memory Really Exist? Yesterday I had a horrible migraine. It started on Tuesday and I really thought it had passed but then right in the middle of my work shift...BAM!! It hit me like a ton of bricks again. Sure makes for a long day at work. Since I am still new, I had a preceptor who was awesome and let me rest for half an hour. It sure made a difference. Unfortunately the migraine truly never went away. I was scheduled to do an Insanity workout after work but that wasn't going to happen. I knew that working out was not the best decision. Since I was taking the day off it made me think about the concept of muscle memory. Many of us that work out have heard of it. I really haven't given it much thought until recently mostly because I was inactive for a few weeks. So for those that don't know what muscle memory is, muscle memory is the act of completing a particular physical or mental task with such repetition that your body then learns to complete the task more efficiently, using less brain power. So in other words, when you teach your body how to do something (ride a bike, run, yoga, Zumba, etc.) your body creates a blueprint of that activity. Even if you take some time off, you'll get back to where you were faster than it took you to learn the exercise in the first place. I've read different articles in the past that all basically say the same thing, "Your body never forgets." While I would love to believe that muscle memory exists, I am having a very hard time grasping my finger around it. Why? Because since taking a few weeks off from any physical activity, I have been struggling to get back to my minimum. I mean a REALLY hard time. I went from being able to run a minimum of 4-6 miles to barely being able to finish 1-2 miles. Some people are just lucky I suppose. They can take so much time off and get back at it with no problem. Sure they might be sore the next day, but their body is still able to do what it had been doing before. Yes, I am frustrated. It is so disappointing to see how much a few weeks off did to my training. I keep hoping that darn brain of mine will send off the right signals to my body and say, "Okay it's time to wake up and get back to where you were before you took your hiatus." All I can really do is keep at it! My motivation is slowly coming back, so I would hate to get set back once again if I stop. One thing that a reader suggested was to find a good running book to get motivated. So I went to Amazon this week and ordered Meb's new book, Meb For Mortals: How to Run, Think, and Eat like a Champion Marathoner . I can't wait to dig into this book! I've actually heard great reviews so far from other bloggers who've had the opportunity to read the book. It just got released this month and the timing couldn't have been more perfect. The book arrived yesterday so you know what I'll be doing the next few days in my spare time. I am hoping this book will hopefully push me a little more to get back to my baseline. What is your favorite running book? 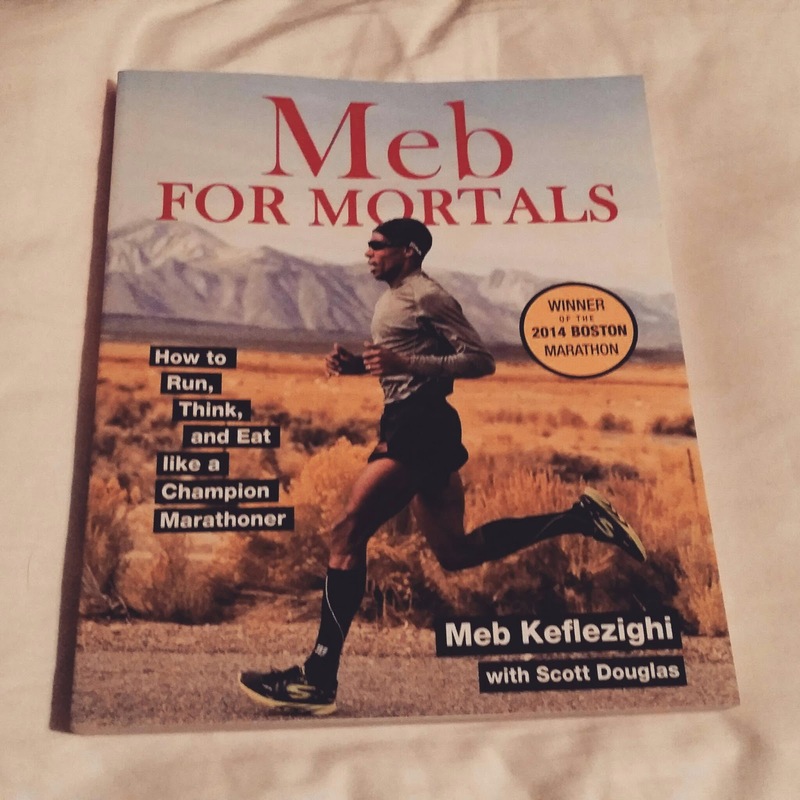 Have you met Meb before? Does muscle memory work for you? This post contains affiliate links. For items purchased through the link, the “Fit Wanderlust Runner” website will be compensated. I think what you're dealing with is more of the reversibility principle than muscle memory. Muscle memory allows you to do things like shoot a basketball the same way each time or know how to balance while pedaling a bike. However, in training we look at endurance as: if you don't use it, you lose it. And it happens quickly! I am posting about this very topic more this weekend.